Nadmenny Millicent: No pictures of a KIA Bin Laden, great let get back to business! No pictures of a KIA Bin Laden, great let get back to business! With UBL given the AR15 double tap and team Obama not showing the pictures. Lets all go back to focusing on what a horrible President Obama is. Gas is close to $5.00 a gallon. The economy is slowing down even further. And umemployment is at or close to 10%+. 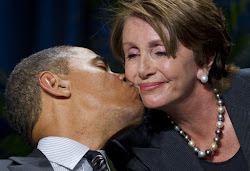 Lets keep our eye on the prize of votting this goof ball out of office in 2012.